The $250 device is available on Amazon and at Lowe's stores nationwide starting August 4. 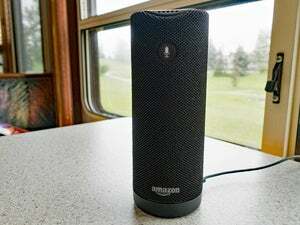 You don’t need an Amazon Echo to ask Amazon’s voice assistant Alexa for help, thanks to an API that lets hardware makers put Alexa’s skills to work in their own devices. 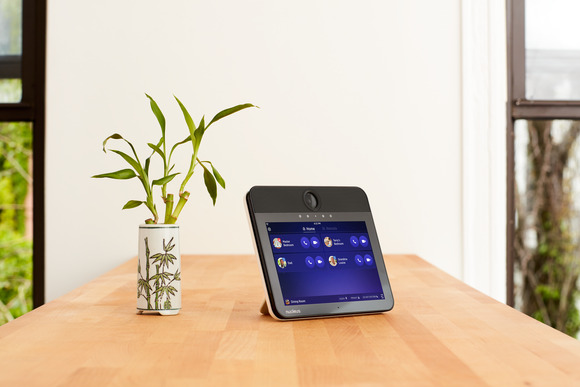 Now Nucleus, a touchscreen home intercom system we first glimpsed at CES last year, is launching on Amazon, in Lowe’s stores and on the Lowe’s website with Alexa integration to make your busy home life a little less stressful. Nucleus is a tablet-like intercom you can mount to your wall or use with a desktop stand. 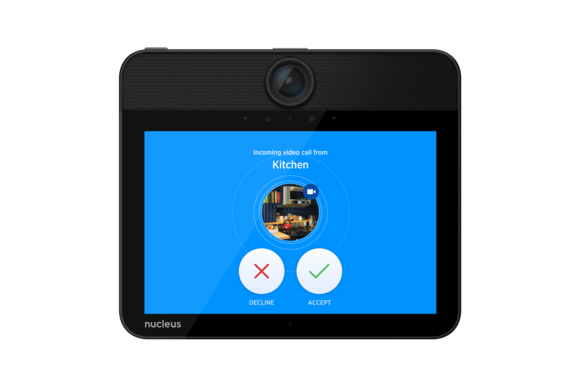 It connects to your home Wi-Fi and pairs with the Nucleus app on your phone so you can call or video chat with other people in your house using multiple Nucleus devices or on the go from phone to Nucleus. Nucleus can be used for in-home voice and video calls. With the power of Alexa, you can play music from your Nucleus via iHeartRadio, Amazon Prime Music, or TuneIn, find out the weather, or ask Alexa to add items to your list of reminders. The addition also makes sense given Nucleus’s inclusion earlier this year in Amazon’s Launchpad program, which showcases products from smaller manufacturers that otherwise might never be seen by the average Amazon shopper. You can buy a single Nucleus for $250 and use it with your smartphone to keep an eye on your house via the Nucleus app. The device has a wide-angle front-facing camera, which comes with a shutter to cover the lens. To turn the Nucleus into a true home intercom system, you’ll need to put a few around your house. If you buy two or more, each device will cost $200. The Nucleus has a built-in microphone and speakers for phone calls or video chats (or for streaming music throughout your house). If you don’t want to use Wi-Fi, you can connect to other devices with an Ethernet cable. Nucleus goes on sale today. Stay tuned for our in-depth review coming soon.